As we close school up for the 64th time (yes 64 years we have been opening our doors to lots of children and their parents) and say goodbye to our Year 6s we can look back on a very happy and successful 2017 / 2018 year. There have been lots of achievements, friendships and happy memories gained for both our pupils, teachers and friends. Speaking to our year 6 children this morning they were all excited for their next chapter but also talking so positively about the years they have spent at Hopelands from the teachers that have helped them on their journey to the friends they have made and the experiences they have shared. During the last 7 years, these 16 pupils (some obviously joining us a little later) have achieved so much from sporting, academic, musical, drama, science, engineering and most importantly personal growth. They joined us back in 2010 as young 4 year olds excited about what their future at Hopelands held and I am pleased to say they are all leaving us as confident, happy, determined children with the mind set I can, I will, I do! 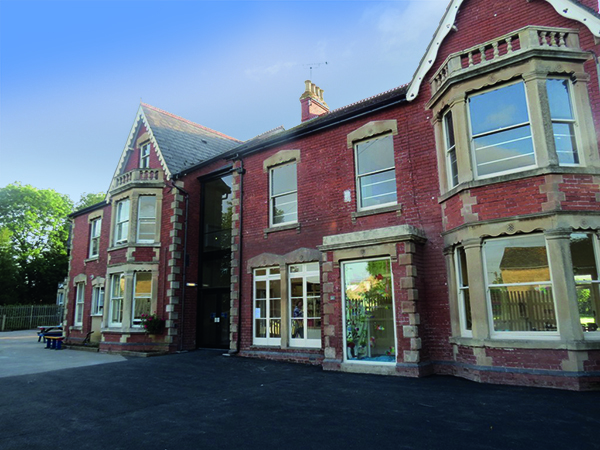 This year our school family has once again produced outstanding SATs results and 100% pass rate in the 11 plus for Gloucestershire Grammar schools as well as seeing other successes across both the core curriculum and other activities that our teachers and support staff work so hard to offer the children. This year we have also seen success in national challenges for KS2 children. Earlier this year most pupils in years 5 and 6 tried their best to take the very difficult Primary Maths Challenge. This year 68,000 pupils from all over UK and some from abroad entered the first round in November 2017. Out of these, 3255 pupils who scored 20 or more (just under 5% of the total) were invited to take part in the Bonus Round in February 2018. Two pupils at Hopelands qualified for the Bonus Round, of whom we are enormously proud. This is a terrific achievement for them. One of our pupils achieved a Silver medal with the highest score, just missing the Gold, which is truly outstanding, as there were only 167 children with scores above her. As always, the children’s enjoyment in learning is paramount at Hopelands, and thus, we have tried to offer pupils as many opportunities to experience lots of interesting things. To celebrate 2018 as the year of Engineering, Hopelands children in years 4, 5 and 6 took part in the STEM Leaders’ Award; they designed what they would make if they were engineers. All of our children worked with passion and purpose in their creations. We are proud of all our pupils for their effort and work ethic, and we are glad some of our children submitted work that was recognised by the Judges as special. The work of 4 children was shortlisted; the work of a fifth pupil was Highly Commended by the Judges, and the work of a sixth pupil was awarded a trophy; these six entries have been selected for public exhibition. Children should be very proud of their achievement, as solely in the South West there were 2,712 entries. GWR Steam railway museum where they had full WW2 dress experiencing what it was like to be an evacuee. Edward Jenner Museum in Berkeley where they learnt about how to prevent the spread of diseases. UK Parliament Week where our local MP visited and addressed the children at an assembly, to explain his role in Government. Parliamentary Outreach – an officer joined us to meet with the children and ran workshops for KS2 about elections, debate and affirmative action. Stroud Mock Trials where the children worked hard as a team to put a strong case across. Our sporting achievements are always outstanding for a small school and Gloucester rugby club coaches commented on the quality of the children’s rugby skills in year 5, with wheelchair rugby being a new introduction. Our PE teacher offers the children such an array of sports including Lacrosse, high jump, hockey, cross country, rounder’s and lots of fun in between, this summer has resulted in lots of water fun! Only two rugby games lost throughout the entire TWO rugby DISTRICT tournaments. Silver in both DISTRICT netball tournament and track and field athletics. EIGHT children qualifying for county cross country championships and WINNING the district swimming and cross county trophies. This ethos shines so brightly in our music and drama department, culminating annually in our summer concert and prize giving event in July. Our music and drama teachers ensure they get the best out of every pupil and ensure they all have an opportunity to shine whether that be in music, drama, dance or singing. Hopelands children always enjoy the opportunity to sing with lots of other schools from across the country at Young Voices every year and to take part in the Cheltenham festival, they work so hard and produce such quality. Macmillan Cancer research with ‘The Great HopelandsBakeoff’ where the pupils even received a handwritten note from Mary Berry herself. We are always busy at school and the teachers work so hard ensuring the children have lots fun, enriching experiences and it is fantastic that so many of our parents and Grandparents help us in so many ways. Finally we’d like to thank all of our pupils for working so hard again this year and just to say have a very relaxing and enjoyable Summer break! We are a small, happy school dedicated to enabling each child to achieve their full potential. Hopelands Preparatory School creates a nurturing, supportive environment where every child is encouraged to be the best they can. © Copyright Hopelands Preparatory School 2017-2019.